With much hype about building information modeling (BIM) in last 5-6 years, now (2012) industry has arrived at a point where BIM is in every AECO professional’s dictionary. BIM is not only a fancy world in these professional’s dictionaries but they are using it for various advantages over their non-BIM using competitors. A recent example is the use of building information modeling at at Panama Canal Expansion. User interfaces can improve task performance by exploiting the powerful human capabilities for spatial cognition. 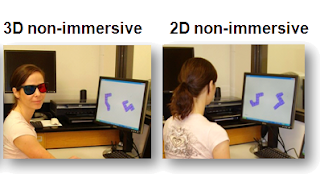 3D displays support cognitive spatial abilities. Moving from 2D displays to 3D display will be the next main stream evolution of BIM. 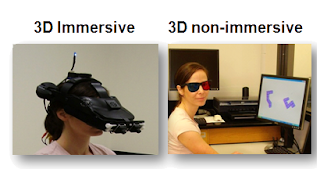 At Harvard University, Mental Imagery and Human-Computer Interaction Lab investigates how distinct visualization abilities could be improved as a result of training in 3D immersive virtual environments. Their results demonstrate that 3D immersive environments appear to be significantly more efficient for training imagery skills than 2D or 3D non-immersive environments. Their findings revealed that the 3D Perspective-Taking Test facilitated a 200% increase in performance (i.e., the rate of error reduction), compared to the non-immersive 2D version of the test. 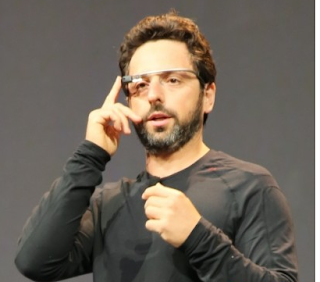 Yes, I am talking about spinning the building with your hands in an augmented reality world. If you may recall the Robert Downey Jr. (Iron Man in the movie) spinning iron man suite in the movie Iron Man, than you understand what I am talking about. In the process of developing the product the engineer must mentally manage a large amount of important information which leads to high cognitive complexity. Available engineering drawings do not reduce the complexity that the engineer is facing or help him handle it. The 2D engineering drawings should be easy to use and should help the engineer manage the design-related complexity. The cognitive complexity can lead to a situation in which important design factors are not taken into consideration and this leads to failure. Realistic perception of the 3D models from 2D engineering drawings plays an important role in decision making of design engineers. Recent studies show that a system with a three dimensional representation of the model increases the performances of the users carrying out tasks which require the perception and understanding of spatial information. Unlike Virtual Reality (VR) systems, in which users are completely immersed in the virtual environment, Augmented Reality users see the virtual objects and the real world co-existing in the same space (co-located). The co-location of the 3D CAD models in the real environment provides the possibility of a realist perception of the physical engineering drawing. We will be able to use Google Goggles for visualizing building models.